Chmmr - Auto. Vinyl LP, CD. Bleep. Oslo’s Even Brenden makes good on a three-year dalliance with Prins Thomas’s Full Pupp by coming through with his first LP for the imprint. The resulting Auto is a friendly record that is as charming as it is groovy. 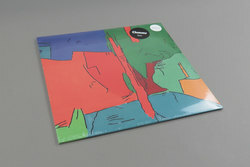 The ten modern disco cuts here wear the shades of Italo-house, classic Detroit stylings and electro-funk, each constructing colourful tonal landscapes atop solid rhythmic foundations. The delightful bass work alone of tracks like ‘0x60’ and ‘Media Vision’ should be enough to convince anyone sat on the fence, and if not the winning melodies and chirruping percussion will clear away any lingering doubts.